Nollywood Actress, Sola Sobowale, is really holding the Nigerian movie industry down with her acting prowess and seriously, no one is contending that with her. 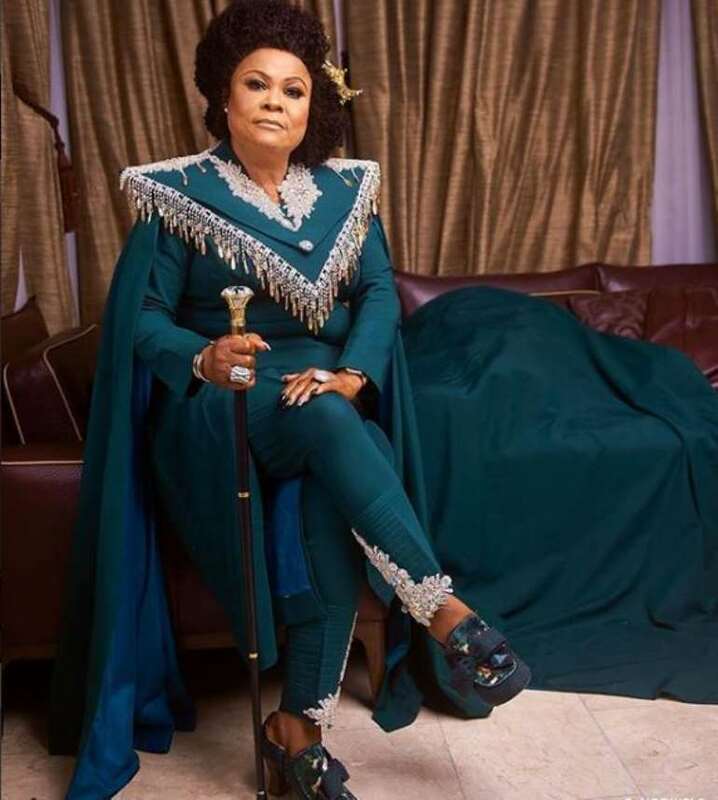 The actress recently stepped out for the premiere of the much talked about movie ‘KING OF BOYS,’ which was premièred over the weekend and trust me, she did justice on the red carpet. Despite her age, she showed the younger generations that she is still a good fashion slayer who is ready to send tongues wagging with her style and her ageless beauty.